We would like to introduce ourselves. Our names are Jeff and Heather Rickert. We have personally invested in real estate since 2000 and, as realtors, we specialize in two distinct areas. One area of specialty is the Poconos of Pennsylvania, where we help buyers and sellers of investment properties and vacation homes. Our other area of expertise is the Souderton and North Penn School Districts, including Harleysville, Skippack, Lederach and the Borough of Souderton. We have been residents of Arrowhead Lake (Monroe County, PA) since 2001. We are natives of the Souderton and North Penn School District since 1993. We have resided on Morris Road. Jeff has been and active memberof the Harleysville Community Fire Co. since 1995 and has been the Deputy Emergency Operations Coordinator forLower Salford Township since 2002 as well as Fire Marshall of Lower Salford Township since 2006. Heather keeps busy by raising our 3 adopted children. She also volunteers for the Hands Across the District at Oak Ridge Elementary School and Souderton Area High School. 2007 was our first year with Keller Williams. We received rookie of the year in our office. 2008 We received the International Bronze Award; 2nd in Sales Volume Closed Buyers Side, 3rd Listings Volume Closed Sellers Side, 1st Buyers Sales, 1st Listings Taken, 2nd Closed Units. In Addition Heather received Most Driven Award in our office of 72 agents. Internationally we received The International Bronze Award. 2009 We received the International Silver Award; 3rd in Sales Volume 2.5 mil, 1st in Total Number of Buyers Sales, 1st Listings Taken, 1st Closed Units. In Addition Heather received Most Inspirational Person. In 2009 our office had 78 agents. 2010 We received the International Gold Award; 3rd Total Listings & Sales Volume 5.5 mil, 2nd Sales Volume Closed Buyers, 3rd Listing Volume Closed Sellers, 1st Total Number of Buyers, 1st Total Number of Listings Taken, 1st Total Number of Closed Units. 2011 We received the International Double Gold Award; 1st Total Listings & Sales Volume 6.9 mil, 1st Sales Volume Closed Buyers, 1st Listing Volume Closed Sellers, 1st Total Number of Buyers, 1st Total Number of Listings Taken, 1st Total Number of Closed Units and Most Valuable Agents. If you are looking to invest in real estate, upgrade to a larger home, or downsize, call or use our contact form and we will be happy to assist you with your real estate needs. Just a thank you, I have never ever had a realtor do the physical labor or offer the observations you made for us in my life, I would never buy a home without you by my side. Thanks I will always consider you as a man who's first concern is his client. I did speak to Frank and also to Teresa, who were both very helpful to and enjoyable to talk to. Thank you for asking them to talk to me. I appreciate the time they took to help us out. I can't help but think how it is a strong testimony to the positive relationship and trust you and Jeff have built with your previous clients, that they would be willing to go out of their way to help one of your new clients. I hope I have the chance to thank them in person at some point in time. This is CY's mother-in-law and I wanted to post a Testimonial to you and your husband as to what a fabulous job you did in selling my son's property in Arrowlake. You were so dedicated and determined to help this young couple sell their home so they could move on with their lives in Oklahoma. Thank you very much for making this so seamless. That was the easiest thing I have ever had to do. Taking the money out of our savings was tough but I know it is a good investment. I will surely remember you and refer you if ever any of my friends or family need a realtor in PA. I could write a book about you and Jeff singing your praises!! I want to thank you for facilitating the sale of my home in Arrowhead Lakes in the Pocono Mountains. My situation was unique as you represented the buyer in the transaction and I was the seller! When you showed my home (the first time I met both of you), I immediately felt confident that you would match up the right buyer for the property. My initial impression was that you were down to earth, knowledgeable about the market, and had a sound understanding of the type of buyer who would purchase the home. To say you facilitated the sale with just those qualities would be an understatement! There were many obstacles that arose during the sale due to the agency I chose to list my home. Although it was not your responsibility to correct the mishaps that were occurring, you handled the sale of the home with complete integrity and professionalism! While keeping your buyers needs first, you corrected the problems that came up, even though it was not the responsibility of your agency. You were thorough and communicated effectively with both parties (the buyer and the selling agent). You are in a unique situation. Your office is located in Montgomery County but you specialize in the Pocono Mountains, which is where you have a second home. This is appealing to many buyers as they have the confidence of someone close to home but also the knowledge of the Poconos. 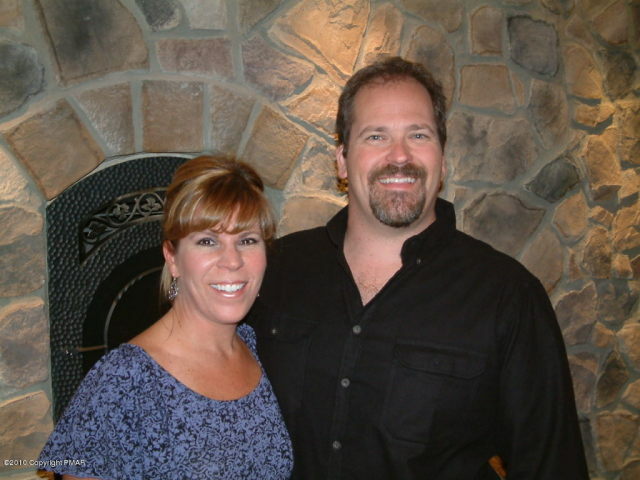 If I know of sellers and/or buyers in the Pocono area, I will not hesitate to recommend Jeff and Heather! Thank you again for all of your support. I wish you the best of luck as you continue to sell homes in the Pocono Mountains! Heather, Thank you for your efforts, it is a breath of fresh air to have a real estate agent who actually works. It sounded as though they might be interested in our home, that's a good thing. Thanks again look forward to talking to you soon. You're a very good agent to work with. Wish all agents were as dutiful as you.